A push pull golf cart with a seat. 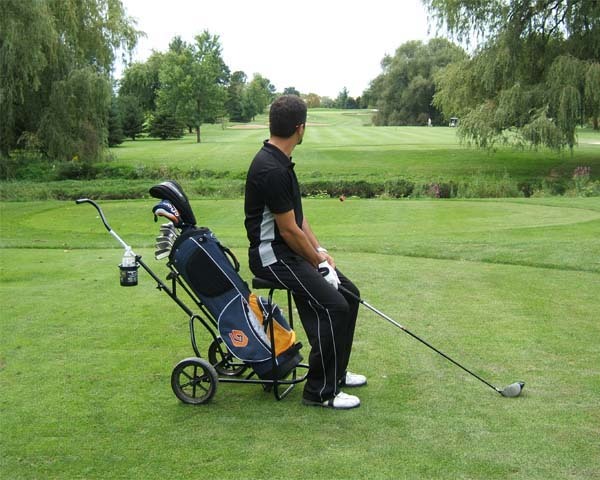 This golf seat cart allows you to rest and save your energy for golf. Don't stand on the golf course waiting for the foursome in front of you to get out of range. Take a seat and avoid fatigue, which affects both the muscles and the mind. You need them both for golf. "You can shave four strokes off your golf game just by thinking before you swing the club."